Our final Crystal Earth Meditation for August is to send healing to all in distress across the globe with particular reference to the children of Yemen at this time. Hope you can join us through meditation, positive thought or prayer. This meditation will use the beautiful amethyst cairn here at Old Nisthouse, Orkney. The cairn is shown below. July has been a busy month. We have have had some lovely crystal planting records sent in for Mallorca and Corfu in the last few weeks (details on projects Facebook page) and lots of planting done in Arran Scotland, although I have yet to post these records. Also records for Cornwall. Thank you again to everyone involved and I will provide further details over next two weeks. Happy planting, and if you want to get involved please get in touch. It is truly a special experience to be able to enhance the energy of our beautiful Mother Earth in this way and to heal others as well as ourselves in the challenging times we all face. Our weekly planetary meditations continue to focus on peace and healing for the Earth and her inhabitants, tonight and over the following two weeks. 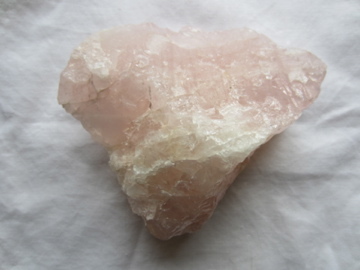 These meditations are all on Monday evenings through 8pm GMT and will once again use the beautiful heart shaped chunk of rose quartz shown below. Hope you can join us for one or all of these, in meditation, positive thought or prayer from where ever you are based across the globe.